The motivational effect of dental coverage on encouraging utilization of dental services is most evident when looking at the behavior of older Americans and lower income Americans. 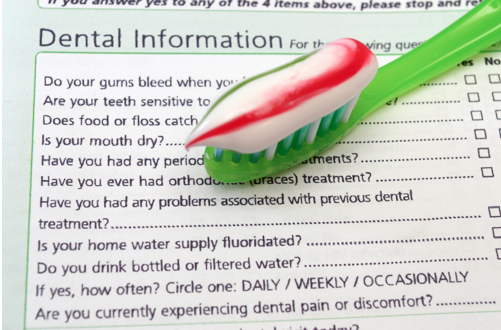 Covered adults over 75, for instance, average 4.3 dental visits annually, while those without coverage average only 1.4. Similarly, Americans with dental coverage earning under $10,000 annually average 2.9 dental visits a year compared with only 1.2 for those without. HHS News, Public Health Service, National Institutes of Health, July 1992. Soto, MA, Behrens, R, and Rosemont, C, eds., "Healthy People 2000: National Health Promotion ad Disease Prevention Objectives," Institute of Medicine, Washington, 1987. Data from Health Care Financing Administration, Office of the Actuary, Office of National Health Statistics Group. American Dental Association, Bureau of Economic and Behavioral Research. "Survey of Dental Fees," 1990. Davies AR et al. "Explaining dental utilization behavior." Santa Monica, CA: Rand, publ. no. R3528-NCHSR, Aug. 1987. Waldman, HB, "Who is Paying for Dental Care?" Compendium of Continuing Education, Vol. 13, No. 7. Office of National Cost Estimates, Office of the Actuary, Health Care Financing Administration, US Department of Health and Human Services, US Public Health Service. Levit, KR, Lazenby, HC, Cowan, CA, and Letsch, SW, "National Health Expenditures, 1990," Health Care Financing Review Fall, Fall 1990 Vol. 13, No. 1. 1991 Data from Health Care Financing Administration, Office of the Actuary, based on data from Office of National Health Statistics. Survey conducted by Market Facts, Inc., conducted Feb. 5-7, 1993 for Delta Dental Plans Association. Cooper, H, staff reporter for Wall Street Journal, quoting Frank McArdle, consultant from Hewitt Associates. "Employees' Cherished Dental Plans Will Feel the Bite," WSJ, 9/23/93, page B 11. Calculations from Delta Dental and HCFA Office of the Actuary data. Foster & Higgins Annual Benefit Survey, 1989, 1992.